Learn to make three types of flowers, and choose one, or all three to make a set of place mats for any occasion. 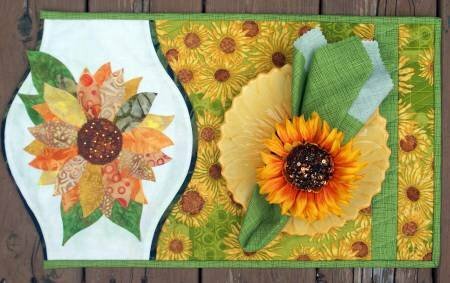 This pattern uses the Norme Leaves Galore Template (with the 3" and 6" curve) for both the flowers and the curved edges. Super easy and a fast and fabulous applique gift. Just the right flower for any occasion!